Product prices and availability are accurate as of 2019-04-07 16:24:39 EDT and are subject to change. Any price and availability information displayed on http://www.amazon.com/ at the time of purchase will apply to the purchase of this product. A Cutting Board This Gorgeous Doesn't Belong in a Cupboard. It Belongs on Your Counter. Meet the brand new premium bamboo cutting board and cheese plate from Bamboo Works. 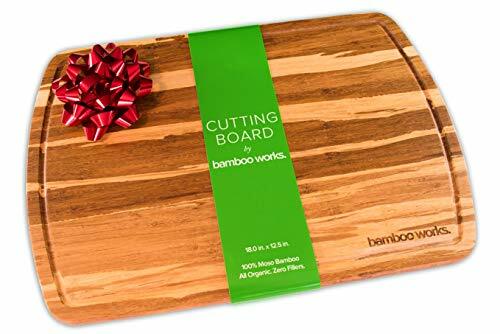 Our stunning cutting board is made of 100% organic Moso bamboo, one of the strongest strands of bamboo in existence. 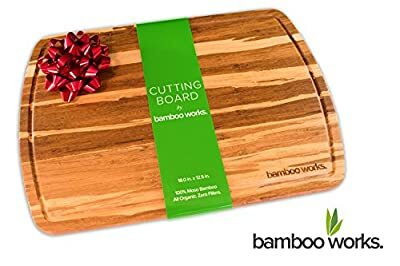 The Moso bamboo provides exceptional antimicrobial properties as well as the gorgeous, natural tiger stripes across the cutting board. For unmatched quality and breathtaking design, there is no substitute for Bamboo Works. Go ahead - leave it on the counter. Simply gorgeous natural tiger stripe design is an accent to any kitchen counter top. Built-in drip groove keeps the mess on the board and off of the counter top. 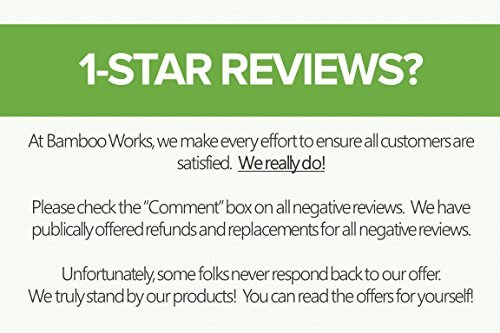 100% Money Back Guarantee - Your satisfaction with our cutting board is guaranteed for a lifetime. This cutting board will exceed all of your expectations or we will refund your money. That's our promise. To ensure a lifetime of use, it's best to avoid washing your cutting board with a dishwasher. Because Bamboo Works uses 100% natural bamboo with no fillers, hand washing is best. BREATHTAKING DESIGN - Gorgeous natural tiger stripe design that belongs on your counter top, not in a cupboard. EXCEPTIONAL QUALITY - Crafted from 100% organic Moso bamboo, one of the strongest strands of bamboo in existence, to provide exceptional quality that you truly feel. 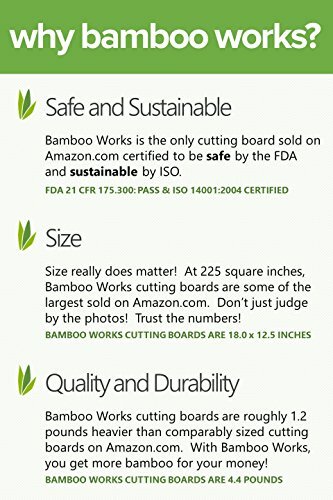 ALL NATURAL - Our bamboo contains zero fillers or stains. Its natural antimicrobial properties prevent contamination and allow for a lifetime of use. 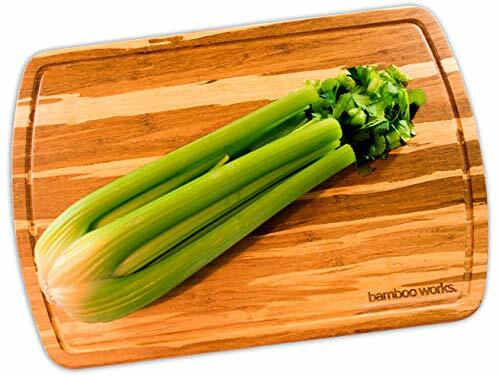 100% MONEY BACK GUARANTEE - This cutting board will exceed all of your expectations or we will refund your money.